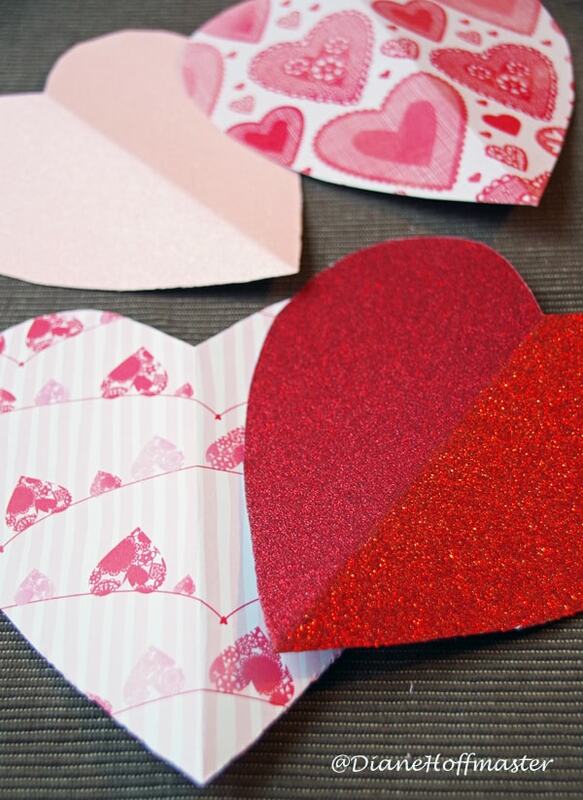 Home » Crafts and DIY » Crafts » Easy Valentines Day Craft Idea: Make 3D Paper Hearts! 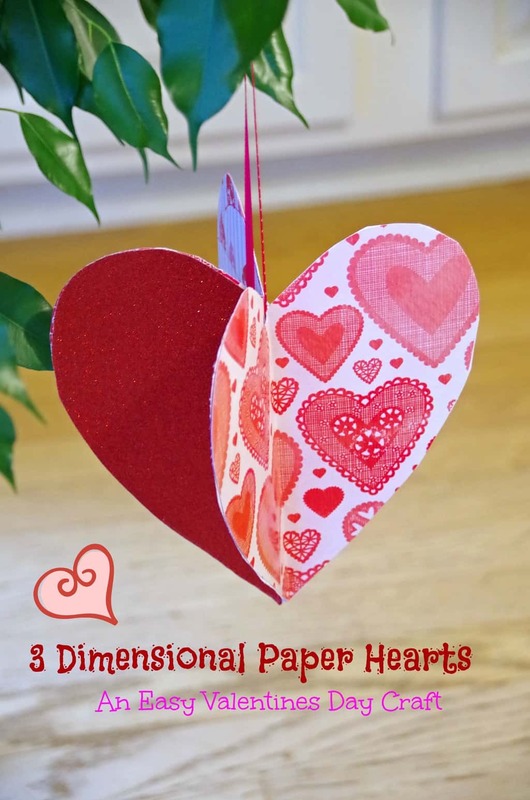 Easy Valentines Day Craft Idea: Make 3D Paper Hearts! I don’t do a lot of decorating in my house for Valentines Day but I do try and get into the spirit of the holiday in small ways. While I am not running out to Target to buy heart covered shower curtains or Cupid decorated plates, I do like to find an easy Valentines Day craft or two just for fun. A few weeks ago I purchased some (affiliate link—>>>) Valentines Day scrapbook paper and have been trying to decide what to do with it. I came across an easy Valentines Day craft idea on Pinterest that I thought would be simple enough for even my ‘uncrafty’ self to accomplish! All you need is a few simple supplies that can all be found online or at your local craft store. It takes only minutes to make each of these 3 dimensional hearts and you can make them whatever size you want. Make several different sizes and string them up in your window for a simple Valentines Day mobile! 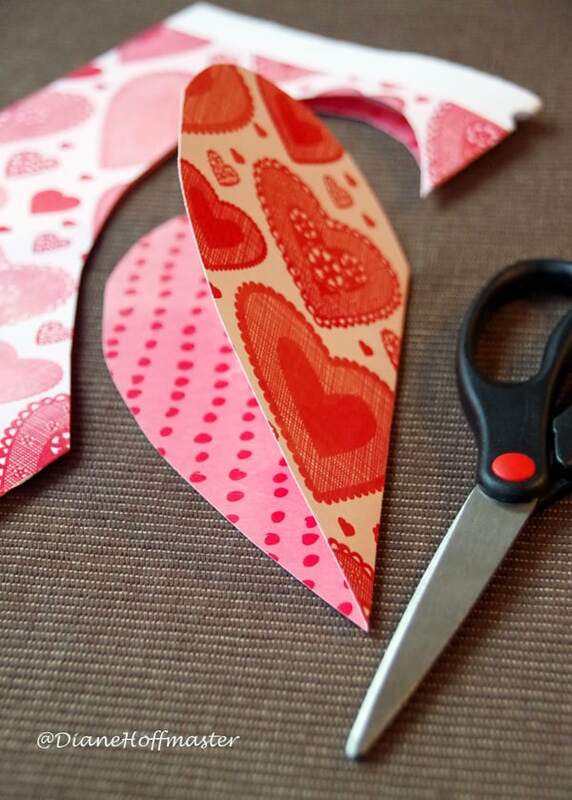 Fold each piece of paper in half and cut out a heart shape. Starting on the fold, cut a shape that resembles half a heart as shown below. When you unfold the paper, you will have a symmetrical heart shape. Open up each heart. You will need 3 to 6 hearts shapes for each 3 dimensional shape you want to make, depending on how you want it to look. Fold the hearts in half again, making sure the part you want to ‘see’ is on the inside. Glue the back pieces of the hearts together….one half of one heart will be glued to one half of the other heart until all your heart shapes are used. 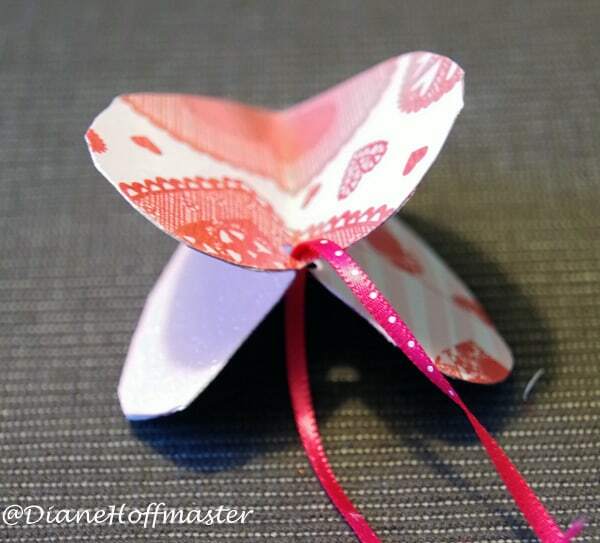 Thread your ribbon through the heart and your easy Valentine’s Day craft is done! Hang it up and enjoy! 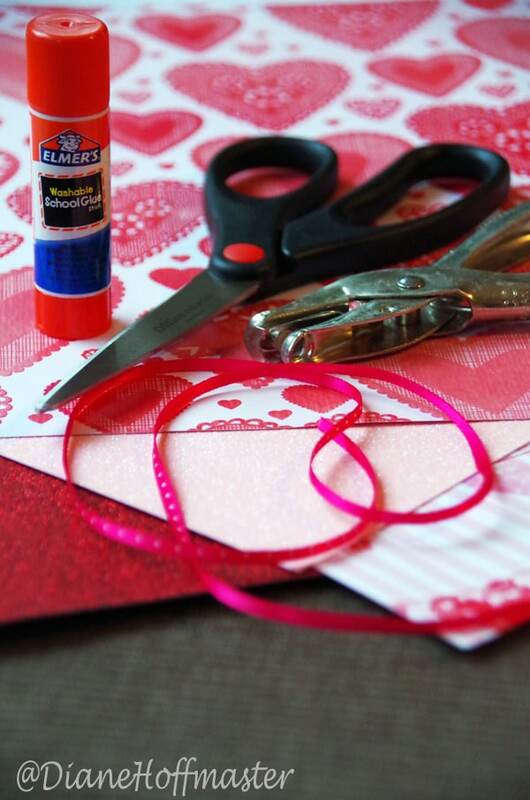 Do you have an easy Valentines Day craft on your to do list this week? Those look so easy to make. I love crafts like this that I can show to my girls and just let them do it on their own! That is so cute! I love adding accents around my home for special holidays and this is perfect! This is so cute! I need to do this to decorate for my kid's Valentine party. Those are really pretty! I'd love to hang them in the entry way to the living room. I miss decorating for all the holidays, I used to do it year-round.